When you make an offer to purchase Florida real estate, you, as the buyer, will include an "earnest money" deposit. This deposit shows the seller that you're serious about the offer to purchase their Florida property. The amount of earnest money varies based on the type of property being purchased and local market conditions. A typical deposit might be 5-10% of the amount you offer in the purchase contract. The final amount is negotiable and will depend on such things as how long it will take you to close and the number and types of contingencies included in the contract. 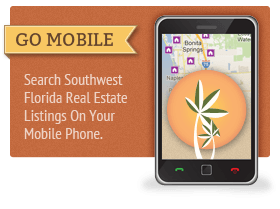 As your Realtor®, Gulf Coast Associates will help you determine an appropriate amount of earnest money to include with your offer to purchase a Southwest Florida home. Who Holds the Earnest Money in Florida? The sales contract will dictate who "holds" the earnest money. Usually the seller's agent will deposit the earnest money in a trust or escrow account until closing. At closing, the earnest money is applied to the total purchase price including closing costs. The trust or escrow account will be managed by an independent third party in most cases, e.g., a title company or real estate attorney who conducts closings. Earnest money deposits cannot be released if a transaction does not reach closing without the express consent of "both the buyer and the seller." In the event the sale does not close, the sales contract generally spells out the conditions under which you would forfeit the earnest money. Generally, if the seller meets all the terms of the contract, the seller will keep the earnest money. If the seller does not meet the terms of the contract, then you, as the buyer, receive a total refund of the earnest money. The best advice is to read your sales contract thoroughly and get your questions answered before you complete the offer. If you're not satisfied with the explanation, seek professional legal counsel. A real estate purchase offer is a legally binding contract and you and the seller are bound by its terms and conditions. At Gulf Coast, our associates deal with these types of issues every day and they'll use their knowledge and experience to advise you how best to deal them. For more information on this real estate topic, please feel free to contact us directly. Our associates will be more than happy to assist you in answering any and all questions you may have. And, please be sure to check out our other Florida home buyer information pages. 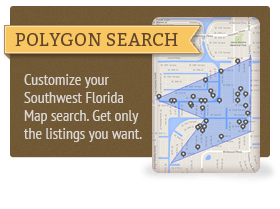 They are full of useful information for buying and selling a Southwest Florida home or condominium. Questions About Earnest Money Deposits? *Indicates a Required Field. Your information will never be shared with any third party.